Nope, not Harry. At least not until the book and DVD arrive at the library. Elizabeth at Real Learning caught the fever by watching Miss Potter on DVD. I, still on the library waiting list, am now perilously close to re-joining Netflix. Ah, well. Watching Miss Potter later will make it all the sweeter. In the meantime, Elizabeth's assembled great resources for enjoying the world of Beatrix Potter with your family. Below, a scene from Elise's $3 corner cupboard. 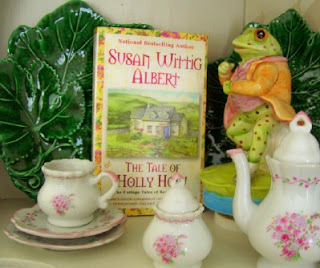 Susan Wittig Albert's Cottage Tales are another Potter delight. It's a wonderful movie! Just go rent it, put the kids to bed, pop popcorn and call it a cheap date! I just joined Netflex last night. There is a long waiting list for Miss Potter :( Hope we all enjoy it eventually. I love your blog. I am always motivated to continue my frugal pursuits. I've had Miss Potter on my Netflix queue since it was out in the movie theaters. It was put to the #1 position the day it came out. I started out as #26 on the hold list for my library. The last time I checked (last week), I was #18. I have asked for it as a birthday gift later this month! My daughter borrowed her mother-in-law's copy and she says it is gorgeous. I had Miss Potter on my saved list since they first listed it. bah. It might be Christmas before anybody sees it. Does anyone know anyone who has actually rented it from Netflix yet?? You've probably got a better change with the library. Meredith, can you rent it from one of those $1 movie machines you once told us about? I think it was you. It's a really good movie, but I wasn't totally enthralled with it like I was Sense and Sensibility. Very sweet and very lovely. You know I'm a big Beatrix Potter fan, so I was hopeful. I was a tad disappointed, but I'm still glad I own it (yes, I know, not frugal, but I did get the cheapest price I could find, and like I said, I was hopeful). I've watched it several times now and will watch it over and over again because it IS a lovely movie. We just splurged and rented it even though we also have Netflix. It was worth it! I wished I had seen the movie on a big movie screen since the landscapes are so beautiful. Sigh. Miss Poter will be worth the wait. My husband suprised me with it. I LOVED it! Hope you are able to get it soon - it's a keeper. By the way, I'm de-lurking to comment. 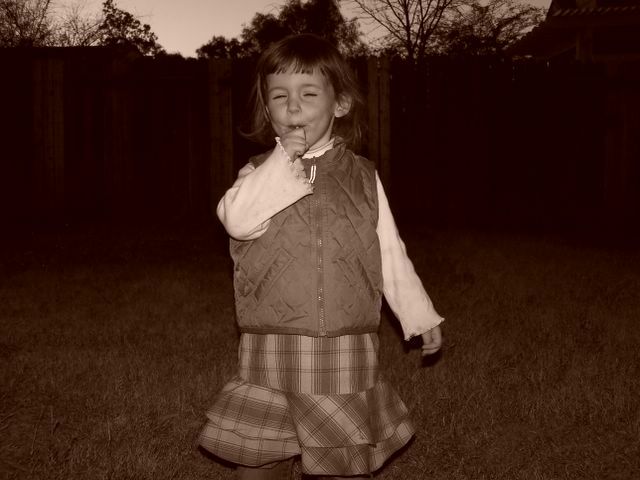 I've added a linkie to your site - I just enjoy it so. Thanks for sharing! Thanks, guys. That makes me feel a lot better. Redbox (the $1 DVD vending machines you find at McDonalds) has not offered Miss Potter yet. I'm not sure I could convince my husband to watch it with me, anyway. I just reserved it at my library...95 of 95 holds...yikes! Oh we love Miss Potter! We also love all the B. Potter movies, which we were blessed to find at Ross one day for about $2.00 a piece. Good classic tales, that aren't full of inappropriate things our children shouldn't watch. We got a book at a garage sale for a quarter that had four stories in it. My 5 year old loves Beatrix Potter now! I really need to find some more. That's too bad about Redbox. Oh well. This movie sure is hard to get if you want to see it super cheap! I guess I'm the only one who didn't like the Miss Potter movie (picked it up at Blockbuster). 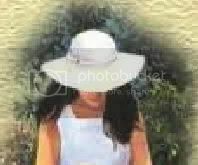 . .
it was perfectly clean, and Ms. Potter was charming. However, it seemed to have a women's libby message. Also, it was loosely written and sort of meandered, with no apparent goal in mind. I was disappointed in it. Beatrix is my #1 favorite children's author. We just watched this movie last night. A friend of our has netflix and loaned it to us (I guess I better encourage her to return it quick with such a waiting list). It was enjoyable (I am not sure if we will purchase it for our library). It did inspire my girls. One is drawing pictures and making books and my other daughter is writing stories...I told them that they should collaborate. I was also disappointed. I do agree that it had a women's lib message, but she grew up in a time where women did not step out of their role of wife/mother/home keeper so her writing and *gasp* making money off it was quite revolutionary. I don't find the women's lib aspect of it a negative thing. I mostly was annoyed that it meandered, and I feel like they missed a lot of the key points in her life. Even though I was disappointed, I did still like it and think you should watch it! I'd even rent it if I had to! I found an older copy of one of her books. By older, I just mean about 30 years old, but the pages had nicely aged, and it is so sweet. I am considering gifting it to my cousin with a cute bunny and possibly a coordinating blankie. April. It was promptly added to my Netflix queue when I got home because I thought my daughter would enjoy it. The movie arrived yesterday and she watched it today - she was not quite as enthralled as I was. For me, it was pure (and lovely!) entertainment. Thinking frugally, perhaps you could split the rental fee with a friend?